Everyone who plans on becoming a yoga teacher looks forward to yoga teacher training from a recognized yoga school. This is only natural because professional yoga teacher training gives you the skillset and expertise to teach others in a secure environment. However, one doesn’t just wake up and start packing for yoga teacher training. Before you can join yoga teacher training, a lot of preparations ought to be made. And that’s exactly what we will guide you with. Most people start yoga teacher training thinking that yoga is all about asanas and modifications. However, this is not the case. Understanding the roots of yoga is really important to become a teacher that students can look up to. Hence, invest in some books about history of yoga, philosophy behind it, and how it has evolved over time. Doing this will surely open new spiritual horizons for you and position you as a teacher who is really familiar with the philosophy behind the ancient Indian art. A lot of aspiring yoga teachers look at the ancient art as a medium to a high-paying career. Some dream of teaching a huge class right after completing their 200 hours yoga teacher training certification. Starting your professional journey with such misplaced assumptions can lead to disappointment. Setting the right expectations before joining yoga teacher training will help you stay focused on your practice in the long run and help you emerge as a yoga master. Planning to become a yoga teacher? Check out the best 200 hours yoga teacher training program in India! A typical day of yoga teacher training starts at around 6 in the morning and ends at 8. Throughout the day, multiple gruelling yoga sessions is practiced under the watch of experienced yoga teachers. In addition to that, there are theory classes and various other activities to heighten your practice. Your goal while preparing for yoga teacher training should be to become ready for the exhilarating yoga days. Join a fitness routine, start eating healthy, and read yoga training experience blogs to prepare mentally for the adventure. Reaching a yoga school without preparations will lead to missed opportunities. It doesn’t matter whether you will be joining 100 hours, 200 hours, or 500 hours yoga teacher training course. All of them will test your comfort with the ancient art. That’s why aspiring yoga teachers prepare for yoga teacher training by practicing more frequently before joining a professional course. Making your yoga practice session longer and more frequent will help you gain a better understanding of your strengths and weaknesses. This means you will know where you ought to focus more during classes and what questions to ask from the staff. Yoga teacher training is an experience that will stay with you for a lifetime. While there are yoga schools across the world, some locations are considered more holy than others. Rishikesh is a small Indian town which is the birthplace of yoga and has been attracting yoga lovers, spirituality seekers, and travelers from all over the world. 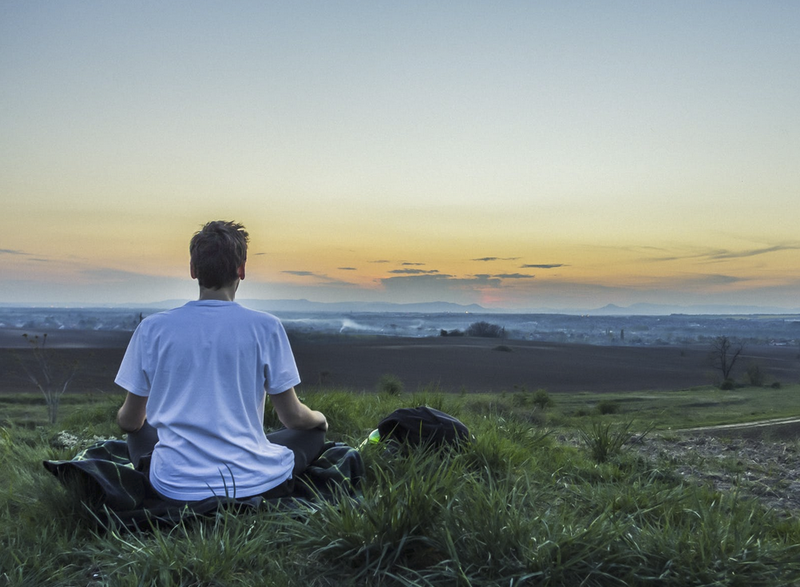 Since yoga has a lot to do with uniting with your inner self, it is best to choose a location that has ample greenery, mountains, and most importantly peace of mind. The environment of your yoga school is crucial to focus on your YTT practice. So, make sure you finalize a destination which is home to positive energy. As mentioned above, there is no dearth of yoga schools out there. There might be a million or two yoga schools & academies across the globe but they are different in terms of yoga style, teacher expertise, positive reviews, school vision, teacher training fee, and tons of other things. Look for yoga schools where teachers and trainers are university educated. This brings professionalism in the yoga teacher training curriculum and promises an environment focused on growth which is how professional yoga teachers are trained. Before enrolling in a yoga teacher training school ask yourself whether you are ready for yoga teacher training or not! Yoga has different forms & styles which are suited to the different set of people depending on their goals, expertise, and agility. While Hatha is the best form for beginners, Vinyasa is perfect for people who are more into quick movement. 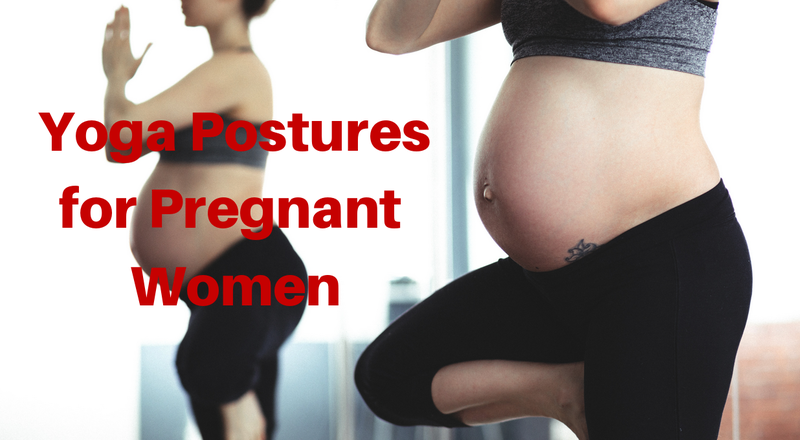 In Iyengar yoga, the focus is on body alignment and is usually loved by people who have struggled in injuries in the past. Most yoga teacher training centres teach a combination of yoga forms and styles to their students. This introduces students to multiple styles and helps them decide which style is more suited to their personality. Exploring various yoga styles hence is a good way to prepare yourself for yoga teacher training. 200 hours of yoga teacher training – the most popular certification course amongst aspiring yoga teachers – will usually give you a month of intensive yoga learning and activity. You will practice with experienced yoga teachers and learn asanas that used to give you sweats earlier. However, this shouldn’t stop you from self-learning. The days of your yoga teacher training are going to fly away because every day will be planned to the last detail. That said, you should still find time for self-learning. Reputed yoga schools give students time to practice on their own and discuss their queries with teachers. So, make sure you make the most of this time. Yoga is a holistic exercise of self-realization. 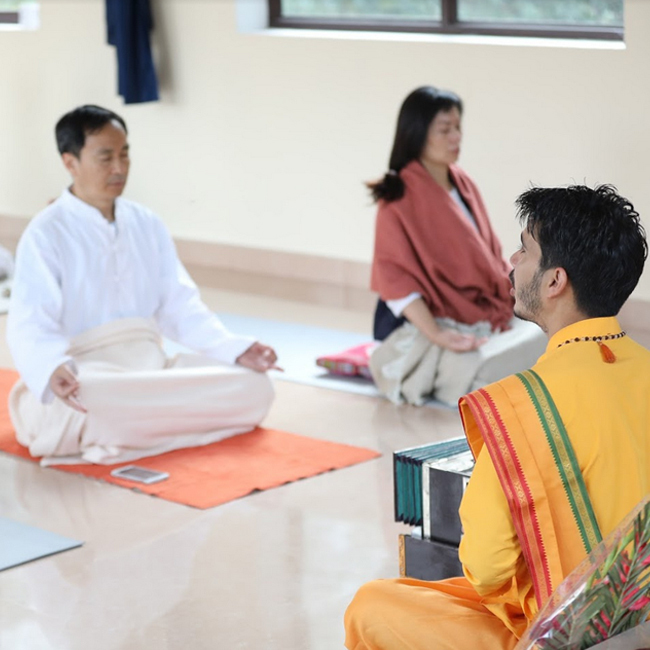 The practice finds its roots in the Hindu vedas and traditions which are guided by principles of connecting with the eternal power. Since meat doesn’t have a place in Hindu culture, it is not served in yoga schools. If meat is a big part of your current diet, it is time to cut your consumption since 99% yoga schools and ashrams will serve only vegetarian meals. While meat is a strict no-no, there are some foods that are highly recommended to improve your performance on the yoga mat. Since yoga is a highly intensive activity, water-rich fruits like watermelon are great to keep dehydration at bay. The carb rich duo of banana and honey will also keep you going. Yoga teacher training is a spiritual roller coaster with tons of learning every day. While every schedule of yoga teacher training is planned in advance, be prepared for surprises. Some days will fly away; others will seem like weeks. Some will be physically liberating; others will be draining. Hence, the answer to ‘Am I ready for yoga teacher training’ is never Yes. The unknown will always be there and you should be embracing it. Preparing for yoga teacher training is a time-consuming process. It will probably take months to take care of all the points mentioned above. So, it is best to get started as soon as possible! Joining yoga teacher training course for the first time is often a life-changing experience. It is the beginning of a journey that will last a lifetime. Pursuing a yoga training course from a recognized yoga school will not only train you in yoga but also open a whole new way of existing. Yoga Alliance recognized 200 hours yoga teacher training course is the perfect certification for beginners. 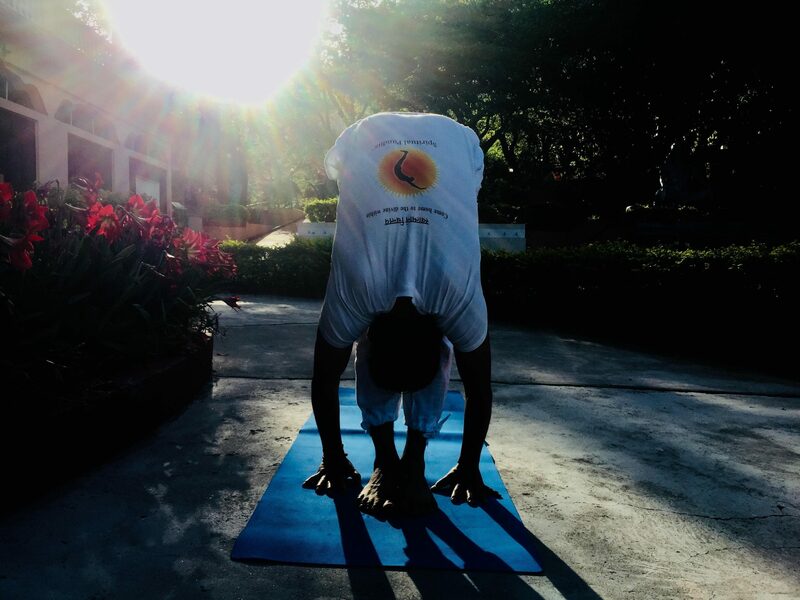 Our internationally recognized yoga school also brings unique weekend experiences for students including guided tours, outdoor fun, forest walks, hikes, and celebration of Indian festivals. Ekattva’s schedule of 200 hours yoga teacher training certification course is planned by experienced yoga teachers to impart the best yoga knowledge, practice, and interactive sessions along with outdoor fun and team activities. Got any queries related to yoga teacher training preparations? Share them with our team of experienced yoga teachers and program managers for friendly advice & help. 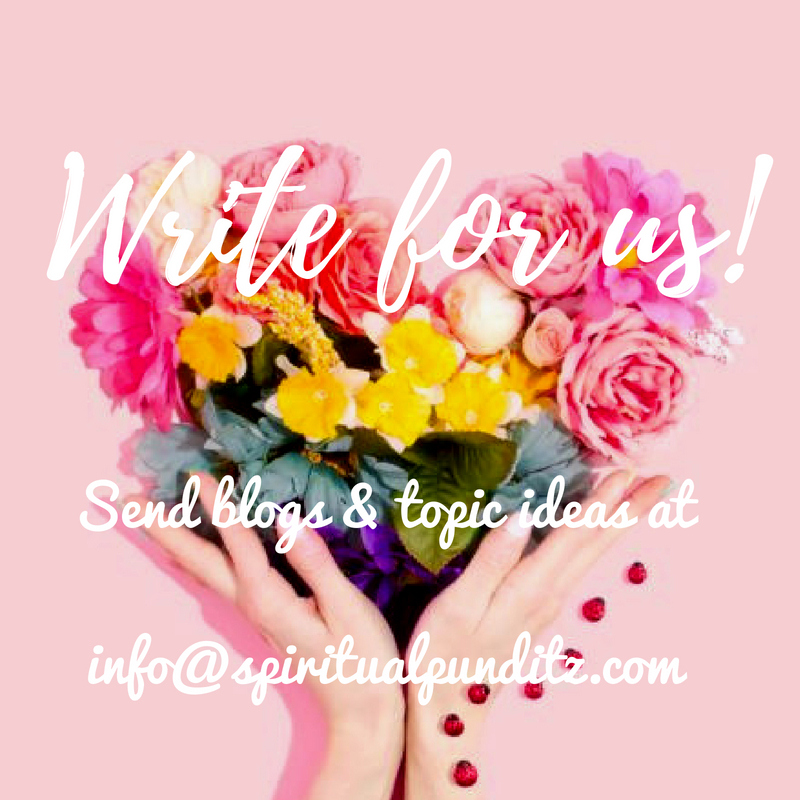 Call +91 84470 45597 or email at info@spiritualpunditz.com to connect with us. Follow Ekattva on Instagram to discover classes, yoga tips, and much more.